Car accidents, pregnancy, or a doctor's visit for a sinus infection are among the many chance events that have preceded a diagnosis of thyroid cancer. The random nature in which this cancer is sometimes detected points to the importance of neck checks by health care professionals during routine appointments, according to ThyCa: Thyroid Cancer Survivor's Association, Inc, a large nonprofit devoted to thyroid cancer education, support and research funding. Thyroid cancer comprises approximately 4 percent of all cancers; however, the number of new diagnoses has increased substantially in recent years, with a new annual record expected in 2016. This cancer affects people of all ages from young children through seniors. Half of those newly diagnosed are under age 50. More than three-quarters are female. While the overall prognosis remains positive for the common types of thyroid cancer, especially if discovered early, some types and variants of thyroid cancer are aggressive and difficult to treat. I went in to the doctor for a yearly medication refill appointment. The physician’s assistant did the routine neck and lymph node check and felt a tiny lump on my thyroid. He told me that nodules are common and happen with age but recommended I get an ultrasound to be safe. The ultrasound found three suspicious nodules that had to be biopsied. The biopsy suggested papillary thyroid cancer. That led to a complete thyroidectomy. I found mine by accident. I had a car wreck, which was followed by an ultrasound and CT scan of my lungs, which found a 6 cm mass on both sides of my thyroid. I then went to an endocrinologist, and she said that it was probably nothing but decided to do a fine needle aspiration: both lobes had cancer. I had a total thyroidectomy and radioactive iodine. No further problems noted! My mom died from anaplastic thyroid cancer. The first time I saw an endocrinologist for diabetes, my doctor, upon learning my mom's medical history, ordered an ultrasound, even though thyroid blood work was normal. She found nodules and I had a needle biopsy, which was negative. She monitored my nodules with yearly ultrasounds. The fifth year there were changes and a second needle biopsy was positive for papillary thyroid cancer. I had a complete thyroidectomy and two cancer lymph nodes removed, followed by radioactive iodine. I am now seven years cancer free. I am so grateful for a proactive doctor who allowed early detection and treatment. I went in for heartburn to a stomach doctor. He felt my neck,just for an examination, and found a lump, so he setup an ultrasound and then a biopsy. I had papillary cancer on the left and right. My nodules weren't that big. I am so grateful for that stomach doctor taking the time to find it. A viewer discovered my nodule, as I host a television show. They spotted a golf ball sized lump in my neck. The doctor then confirmed it to be papillary thyroid cancer. At the time, I lived in New York City. After a total thyroidectomy and radioactive iodine it appears I am cancer free. My doctor noticed it during my physical. I am so fortunate that she is one of the few that do neck checks. To view all of the responses, visit Facebook.com. Sharing stories is ongoing in the support communities and other free services of ThyCa: Thyroid Cancer Survivors’ Association, Inc. Since it was founded in 1995, ThyCa has served individuals around the world with education, support, communication, awareness, and research grants. Advised by a Medical Advisory Council of 47 specialists, ThyCa provides more than 130 local and online support groups for all types of thyroid cancer (papillary, follicular, medullary, anaplastic, variants); 1-to-1 support matched by diagnosis; free materials in 8 languages (English, Chinese, French, Greek, Italian, Japanese, Russian, and Spanish); a free weekly newsletter; videos with thyroid cancer experts; and educational events throughout the year. 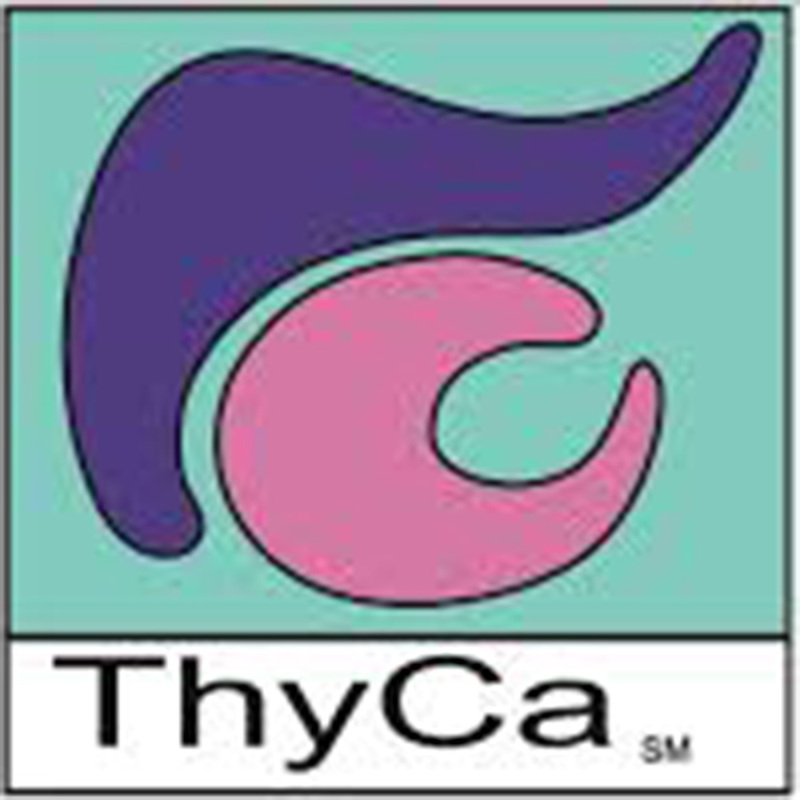 ThyCa sponsors Thyroid Cancer Awareness Month worldwide each September. It also organizes and hosts the annual International Thyroid Cancer Survivors’ Conference; the 19th annual conference will be held on October 21-23, 2016, in Los Angeles, California. The organization’s resources and event details are all available on their website, http://www.thyca.org.